Algeria boss George Leekens has resigned as coach of the Fennecs after leading the team to a dismal AFCON 2017 campaign, four months after he took charge of the team. 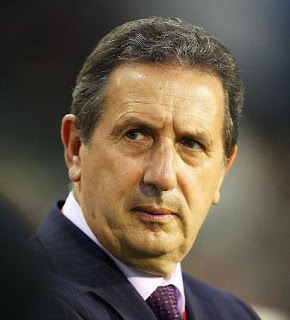 Leekens took charge of Algeria in October after Milan Rajevac resigned following their 1-1 draw at home to Cameroon in the 2018 World Cup Qualifiers. The Belgian gaffer threw in the towel after Algeria's exit from the African Cup of Nations in Gabon where his side failed to win a game (drawing two and losing one) in the competition despite parading the reigning African Footballer of the Year Riyad Mahrez. Leekens also lost his first game in charge against Nigeria in a World Cup qualifier in Uyo in October. He also failed to win a game in the four games he managed the team. Their next game is against Zambia in a 2018 World Cup qualifier in August. "For the good of all, I decided to quit even though I do it with heart ache, and I wish all the success in the world to the national side," Leekens said in a statement on the Algerian Football Federation website.